In this section, we present several ANSYS Fluent batch examples. This is a simple model of a t-junction with a hot water and cold water inlet, with mixing and calculation of temperature at the outlet. This example has been configured to output a graph of the residual plot every iteration. This is a simple 2-D axisymmetric model of a cylindrical combustor where the flame is considered as a turbulent diffusion flame. 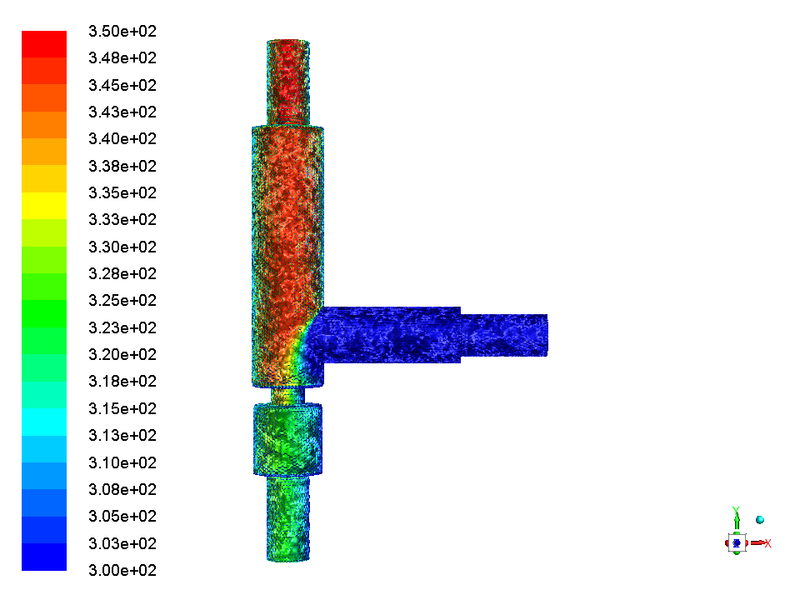 A small nozzle in the center of the combustor introduces methane at 80 m/s. Ambient air enters the combustor coaxially at 0.5 m/s.